When you find that you cannot access the data in your HDD or while you are trying to browse it and in return, it is not able to show any data in it even if it is properly connected to the pc then you can be sure that there is a major hard drive problem occurred. Now you should pay attention while you try to access the drive and have to listen carefully that any kind of buzzing noise like “biz-biz” is coming out from the HDD or not. If that kind of noise is present then you can consider the situation as a major HDD problem and this is called a dead hard drive. If someone faces the issue of a dead hard drive, then it is common to have frustration and fear at the same time. All the users of the computer will be affected as all the files of all users were saved into the same hard drive. When the fact of losing memorable pictures, favorite music, important documents will come to mind anyone can become frustrated and worried. All other files like the installed game, utility software, movie collections all can be in the disk radius. Remember, unless corruption has occurred within the file or the HDD failure reason does not lie with some Virus infection to the files most of the data like stored picture, music and documents can be recovered. Though recovering large software or game or even large sized image file like 30 Gb or 40 Gb files cannot be recovered that easily. Though it is a matter of fact that everyone should maintain a backup copy of their important data, especially over the cloud through which it will be accessible from anywhere in the world, as well as in this kind of time those backups can come really handy. There are many cloud data storage facilities available for free service as well as paid service. One can also use another HDD to store the backup files of important documents regularly. 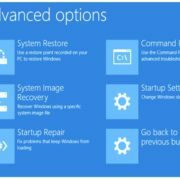 However, if you do not have any backup and there is no physical damage seen on the HDD components there is good chance that your data especially the small bit files will be recovered if proper tools and procedures applied. (Win), Wise (Win), RestDisk (Win/Mac/Linux), WinHex (Win), EaseUS Wizard etc. can be used. Most of these apps are free to download, you can check it over the internet and download it. You can try multiple software for best result, as it may happen that one of the apps is able to recover some of your data while the other one is able to do some more recovery. To learn how to install and use the software you can check the YouTube videos for the best result or can stay tuned with us for our other article related to the topic. We will be describing the procedure about the EaseUS Data Recovery Wizard using it as an example. It is not and promotional article. So, do some research talk to others and decide which software you want to try. But the procedure of using such software are almost the same. After downloading and installing run EaseUS Data Recovery Wizard and select the drive on your hard disk from where you want to recover files. Click on the Scan button to start scanning all lost data and files, you can also use the option for the whole HDD, but that may consume more time. After the scan is done the wizard will show the list of the data trails found in the drive. EaseUS hard drive recovery software will scan the whole selected drive and find all lost files, including all existing and hidden files and password protected files. Now choose the files which are most important to you or can check the select all checkbox if you want all of them back. You can find your deleted and lost files in “Deleted files section”, “Drive” (with the device drive letter). “Lost Partition” or “Guess you recover” will list your formatted and RAW data there in the wizard. You can also attach any other external HHD or Memory stick to save all the recovered data in there. You can double-click found files to preview them to check and confirm. After the preview, select the desired files that you lost on the drive and click Recover button to save them into a safe location on your PC or in any other external storage device. This way it can help you to recover lost photos, documents and media files, etc. It also can recover data from Memory card, pen drive, and external HDD and etc. 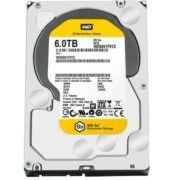 The above-said procedure is applicable for those users who did not face any physical damage or component failure in HDD. 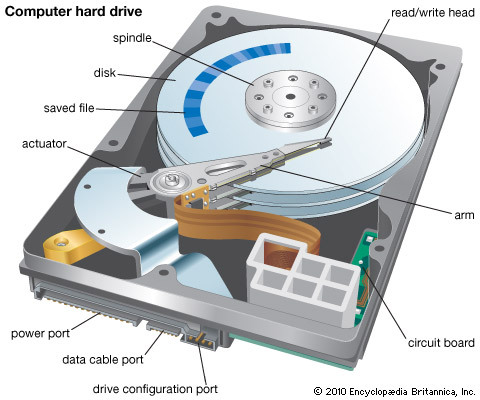 If there is any kind of physical or componential damage in hard drive then the above-discussed procedure most likely to fail. If any kind of data loss or drive inaccessible problem is detected then in the first slot anyone can try the above-said procedure. But, if even after that the problem persists and the data recovery goes unsuccessful then it is time to go a little deeper. It is time to switch off all the fans in your room, and open up the case, afterward try to access the hard drive. Now at this moment in the quiet room try to listen to the sound emitting from the HDD, if there is any type of Buzzing sound like “Biz-Biz” (indicating problem with rotating disk or platter) is happening or a sound like a small click “tic-tic” (indicating problem of head assembly) is happening then there is something wrong going on with the hardware of the HDD. And you have to visit near a computer hardware repair center. Stop using the PC immediately, as you try to use it more the situation goes more severe. Unplug the SATA cable and the power cable of the HDD, reconnect it, if possible, replace both of those wires with a new one. Then restart again, if the problem is not solved yet that means the problem is not about the loose connection or electrical failure. Switch the pc off, remove the HDD from the pc, now run a quick test by connecting the HDD to another pc by using the SATA cable and try to access it. If the problem is still there then trying to connect it with another PC using SATA converter and USB cable, just like an external HDD. At the time of disassembling the HDD be very cautious, as it is a little tricky job. In the case of MAC pc, it is really hard to so. Unplug all the power sources before doing the disassembling. 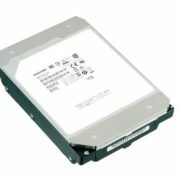 Though an HDD contains many parts like Arm, Actuator, Spindle, Head, PCB, Metal Disk, the problem mainly lies within a couple of the parts like. PCB – The main circuit board of the HDD (usually it is at the back of your hard drive), which controls most of your hard drive’s electronic functions, as well as translating hard drive information into readable information by the user. Circuit boards are typically green around the world. Platters – Thin disks which store flock of data. Platters are responsible for all the noise from the hard drive. Unless you’re a professional with access to a clean room (A typical lab) and the necessary equipment and expertise, you won’t be able to fix your hard drive’s platters on your own even if you possess some engineering degree and all. Head Assembly – The head assembly is what reads the data off of the platters. Again, almost no user would be able to repair the head assembly without professional-grade experience and equipment and facility. If you trying to do it by yourself, then you are going to destroy the HDD after which the Data will not be available to be restored, for sure. 1. Freezing the hard drive or applying an external force on the assembly to tighten the assembly is one of the known DIY hacks in this matter. Some users may report success from these methods but actually performing a short-term fix like this on the HDD is not bound to make more successful data recovery than a professional service, also the problem can still reappear, the longevity of HDD also can be compromised. Even if the hack worked for you, the effects are usually short-term. So be ready to face the problem again in a while. Though within this period you can use the time to recover and make back up for all your data. But remember shortly your hard drive will still end up dying as proper service or repairing has not been done. 2. 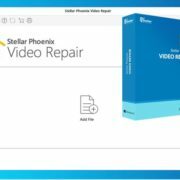 The user needs to understand that hard drive recovery is a job for professionals and if you are a frequent computer user then maintaining your computer is your duty. And like every other thing maintenance do cost you with time and money. As the engineering behind an HDD is complex almost no user would be able to fix the HDD of their own. There is even no point of trying to retrieve the data stored on it unless you have an advanced background in electronics, along with expertise in the same field and access to a clean lab facility. For these reasons, one should hand the dead hard drive over to a professional repair serviceperson. 3. Attempting to fix a dead hard drive with hacks will only lessen the chances of data recovery even for the professional at a later stage. Even replacing the PCB board is an advanced exercise that requires knowledge and practice of how to solder circuitry and knowledge to purchase an exact part for replacements. True hard drive recovery entails the use of clean labs, specialized equipment, and highly trained experienced personnel. For all this along with the guaranty of service you may have to pay a lot of money. The amount of money can be more than double or triple of the price of a new HDD (around $300-500), but remember you are not only paying for the HDD repair but also paying for the data in it. There are mainly two way a drive crashes, Logical Failure and Mechanical Failure. A mechanical failure defines that the drive has broken parts or parts which are not working properly which in turn are preventing it from working. In this case, your data may still be there, but there is no way you are getting it back without calling in the experts. And those experts’ charges a good amount of money. But if you are just dealing with a logical failure, you can get your data back with ease. Though assessing the problem and applying the solution is much tricky, so in this case, also you should take it to the experts. But in this case, they will not be charging you huge money, as the problem can be solved with the help of some tools. In the worst case scenario, they may need to change the PCB of the HDD. Which is not a difficult task for a trained professional. In this case, the repair may cost you around $80-150. At the end remember that getting back all the files and data from a dead HDD is just like getting back a stolen car. Which is possible and there are many people who got it back, but there are also many people who came back empty handed. Recovering large size file like setup file of a game or a big application software like MATLAB, has really very less of success. But most of the documents, images, picture and mp3 files can be saved if proper expertise applied. Very Nice Post Sir I Like this.